Be Natural Callus Eliminator is a salon strength callus eliminator that works fast and is very effective in removing calluses without having to cut the skin. 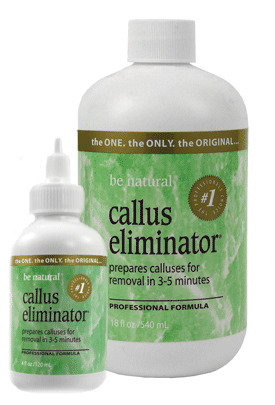 In just minutes, it breaks calluses down for easy removal with a file. Choose your favorite scent and size desired from the drop down menus.